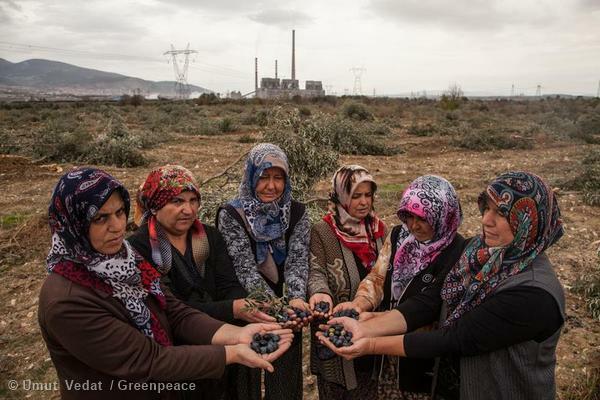 Campaigners at Greenpeace Turkey built relationships with the people of Yırca to focus a campaign against coal power on olives instead. In Turkey, on the eastern shores of the Mediterranean, the olive is ubiquitous. Turkey is the world’s second largest producer of table olives and fourth largest producer of olive oil. UNESCO even protects the Mediterranean diet as cultural heritage, including the role of olives and their oil. Olives are also central to people’s lives in the Turkish village of Yırca. 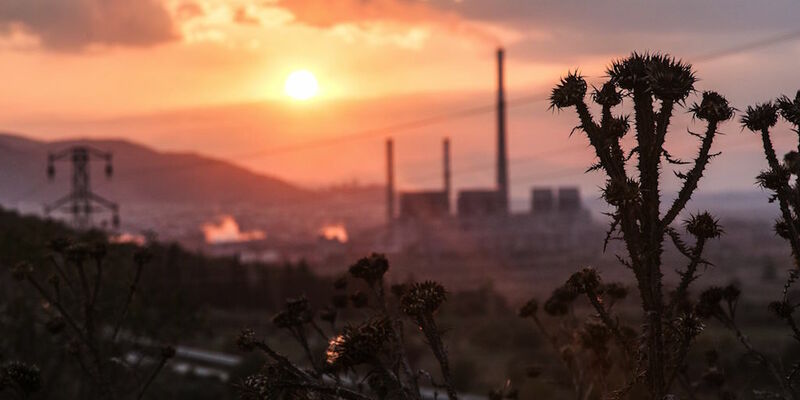 It is there that the Kolin Group of Companies planned to build a coal power plant on an olive grove in 2014—and brought to the fore a legislative fight to legalize the taking of land for power plants across the country. Greenpeace Turkey partnered with villagers to organize community power and protect, then repair, olive groves in Yirca and elsewhere. Yırca villagers hold olives picked from trees bulldozed by Kolin Group. Photo by Umut Vedat, Greenpeace. 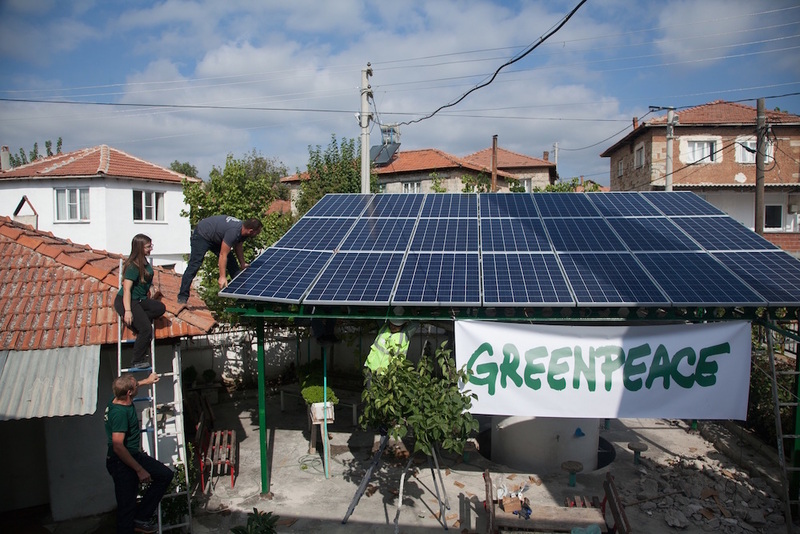 Greenpeace Turkey’s partnership with the people of Yırca was, at first, based on a shared goal: stopping coal power plants. Greenpeace and others are also advocating for clean renewable energy development. The organization and Yırca’s leaders also sought to block a law that would have made it easier for companies like Kolin to take olive groves for industrial purposes. Because of this, campaigners working in Yırca chose to focus on shared values, specifically an appreciation for the role of olives and olive farmers in Turkey’s culture, rather than clean energy, climate and pollution. Cognizant that the people of Yırca were not prone to politics and tended to distrust outsiders, campaigners worked quietly behind the scenes for several months to build relationships that could organize the village and amplify local voices. Greenpeace campaigner Reşit Elçin met with Mustafa Akın, Yırca’s muhtar—the village’s elected leader. At this early stage, Dinç says Greenpeace and its on-the-ground organizers had to “be more on the listening side, instead of pushing Greenpeace’s agenda” to gain the trust of the local community. 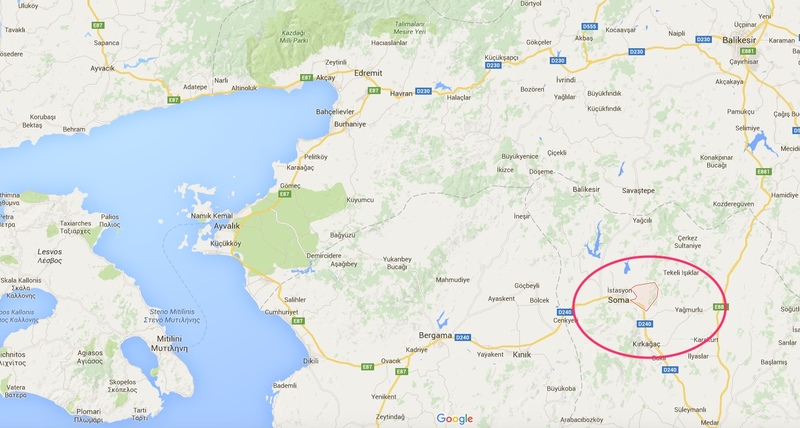 Yırca is in western Turkey near Soma, the site of a May, 2014, coal mine explosion that killed 314 people. On his listening tour, Elçin fanned out through the community having coffee with local residents concerned about the coal plant. During these coffees, Elçin learned about the local culture and demands of the villagers. “I organized all events with the villagers. I didn’t bring any idea from Istanbul to the village. I designed all the events in the village with the villagers,” remembers Elçin. 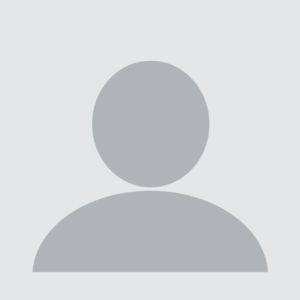 “That is why they trusted me.” In time, 24 individuals from the community came forward to be named litigants against Kolin. 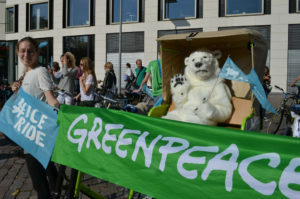 From May to November of 2014, Greenpeace saw various successes, including a legal stay against the coal project led by Greenpeace lawyer Deniz Bayram. Kolin’s tactics changed by November, however. Greenpeace and its partners watched over the olive grove day and night from a watchtower they erected. Then Kolin’s bulldozers rolled in. Villagers stood in front of the hulking machines to stop them from progressing deeper into the grove. Destroying only thirteen trees, the machines were turned back. This initial victory, however, did not stop Kolin. On November 7th, bulldozers returned with a private security force. The vigil turned into a skirmish amongst the villagers that led to arrests. Six thousand trees were cut down that night. Local people from Yirca village show evidence of almost 6,000 trees illegally bulldozed to make way for a proposed Kolin Group coal power planet. It was in this process that a local member of parliament and national media became apprised of the fight over Yırca’s olive grove. The game changer, according to Dinç, was the interview Akın, Yırca’s muhtar, gave to CNN Turkey. “No communication plan we can devise can capture that type of moment and emotion,” remembers Dinç. 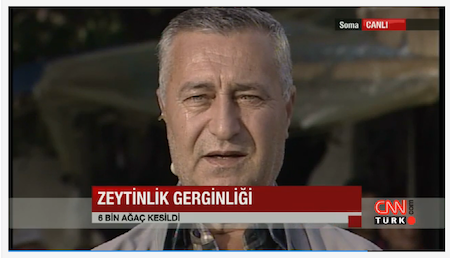 Mustafa Akin, Yırca’s muhtar, takes part in an emotional interview with CNN Turkey in November, 2014. This unscripted moment turned Yırca’s local movement into a national issue. The scenes of villagers protecting a national symbol, the olive, from bulldozers and private security forced Kolin, a notoriously faceless company, to make public appearances and even attempt to hire a public relations firm—humorously, one of the firms Kolin approached worked on this very Greenpeace campaign. Yırca created a flashpoint. What happened in Yırca was seen as an attack on the olive itself, bolstering the national campaign against the governing party’s proposed law to take olive groves. No longer was this a fight between environmental campaigners and developers, but an issue about shared Turkish values. The proposed law was tabled and never brought to a vote. Because of this win, Kolin cannot build the proposed plant in Yırca. Greenpeace Turkey found broadly applicable lessons from Yırca as they continue to amplify the unique voice of local communities against the proliferation of coal power plants across Turkey. In Sirnak, a Kurdish area in the southeast of Turkey, Elçin organized a public rally, because that community had the interest and capacity to bring 10,000 people out against a proposed plant. In Çanakkale City, Greenpeace changed the messaging to be more religious in tone. In Amasya, they organized local leaders to meet with government ministries in Ankara, Turkey’s capitol, to stop the development of a coal plant. 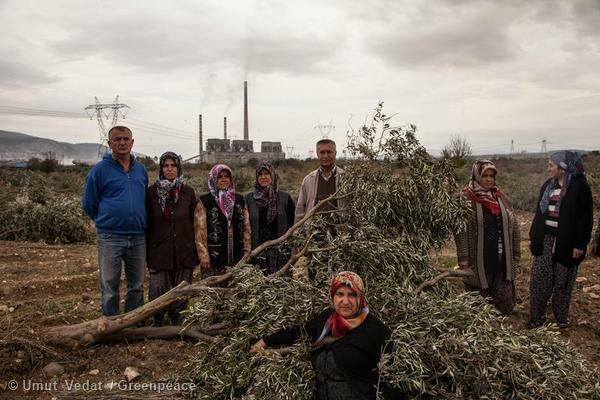 Now, Greenpeace Turkey is seeking compensation for farmers over the lost olive trees in Yırca and promoting clean energy production. Dinç explains, “Now that we got rid of the coal plant, we want to show the village we can make energy in a clean way.” Solar panels are already installed on the local government building and the village mosque. Greenpeace and hundreds of local volunteers are now helping the village adopt solar energy.